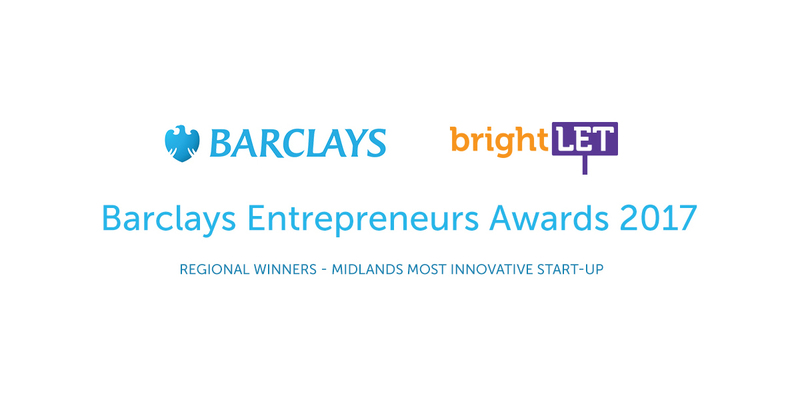 August 2017 - UK cloud-based property management & letting platform brightLET has been named the Regional Winner for the Midlands in Barclays Entrepreneurs Awards for best innovative start-up. The Barclays Entrepreneurs Awards celebrate and recognise the best disruptive innovators across the country. 300 nominations were submitted for this prestigious award. brightLET is a cloud-based property management and lettings solution for landlords who choose to manage their rental properties and tenancies online, directly with their tenants and tradespeople, without the need of a third party. brightLET provides landlords a professional workflow system including all of the tools necessary to help them take control of their lettings business efficiently from anywhere in the world. Founder & CEO, Camran Khan created brightLET in 2016 after a family illness suddenly left him in charge of a number of rental properties. He quickly realised that the day-to-day management of his rental properties was nearly impossible to maintain whilst having a full-time job, and after hiring an estate agent that just added another layer of frustration, Camran set out to create a platform that could support all of the tasks that go with property management in one place for himself, as well as other landlords with similar problems. Providing multi-user access, brightLET enables landlords to streamline their services, reduce management costs and keep all relevant tenancy information in one, secure place, whilst allowing tenants to communicate, report maintenance issues, track their rent payments and manage tenancy agreements from start to finish. Camran Khan, Founder & CEO of brightLET said: "I was absolutely delighted to be told that we had won the regional award. It's great for our team to receive the recognition for the hard work that's been done and we very much look forward to the national final later in the year." 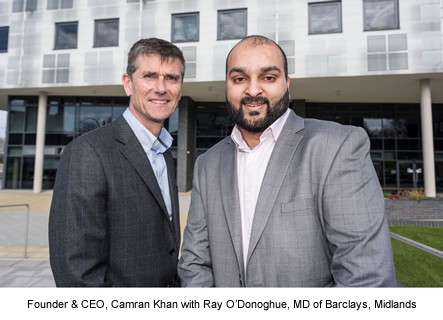 Commenting on the award, Ray O'Donoghue, Managing Director for Barclays in the Midlands said: "The Barclays Entrepreneur Awards are a celebration of our clients and an official recognition of their entrepreneurial successes and leadership. This is the second year of the awards and the evening will recognize clients from across the UK." The PropTech start-up was named the 2017 Barclays Entrepreneurs Awards Regional Winners for the Midlands in the 'best innovative start-up' category. brightLET is an award-winning PropTech solution for landlords, tenants and tradespeople in one, simple to use, cloud-based platform. brightLET provides a multi-user access service which enables its users to advertise, find a property, communicate, and manage tenancies online without using a third party. For more information on brightLET and its services, please visit www.brightlet.com.